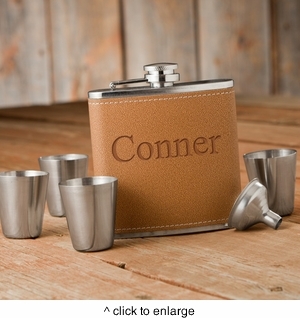 DETAILS: Personalized Hide Stitch Flask & Shot Glass Gift Box Set is a great gift for sharing. Its a flask set made for group outings and gatherings. Set includes four shot glasses.